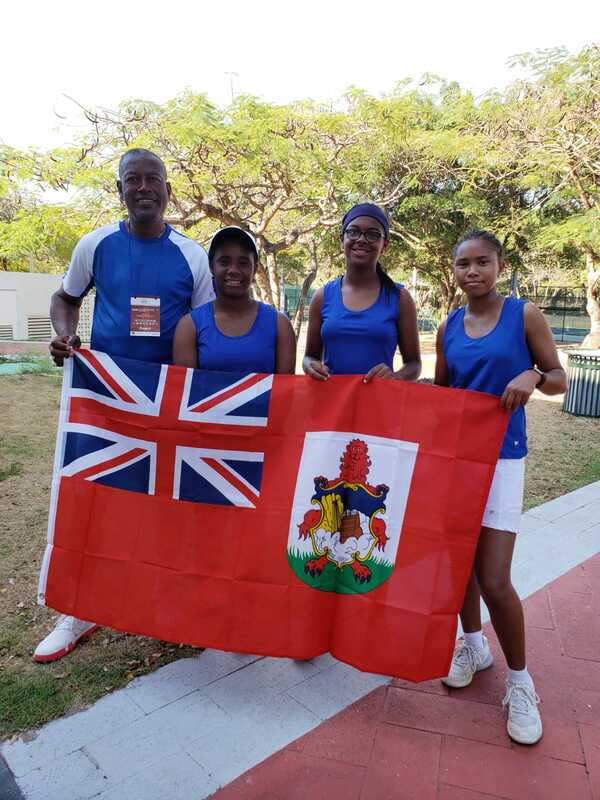 The Bermuda Under 14 Girls team of Jae Gibbons, Asia-Leigh Hollis and Kumani Jackson began competing in the 2019 World Team Junior Tennis Girls North/Central America & Caribbean Pre-Qualifying Tournament going on in the Dominican Republic. The Bermuda Girls would take on Guatemala in their First match in Group A and they would go down 3 – 0. The opening match took 45 minutes as Anika Lemus defeated Gibbons in straight sets 6-0, 6-0. Hollis went down in straight sets 6-0, 6-0 in one hour and one minute to Mariela Fortuny. Hollis and Jackson teamed up in the Doubles and they would fall in straight sets 6-0, 6-1 to Fortuny and Lemus.